Third-party breaches are on the rise and organizations are scrambling to keep up. With the increasing threat posed by third parties, it's concerning that a majority of organizations do not consistently monitor their third-party vendors. 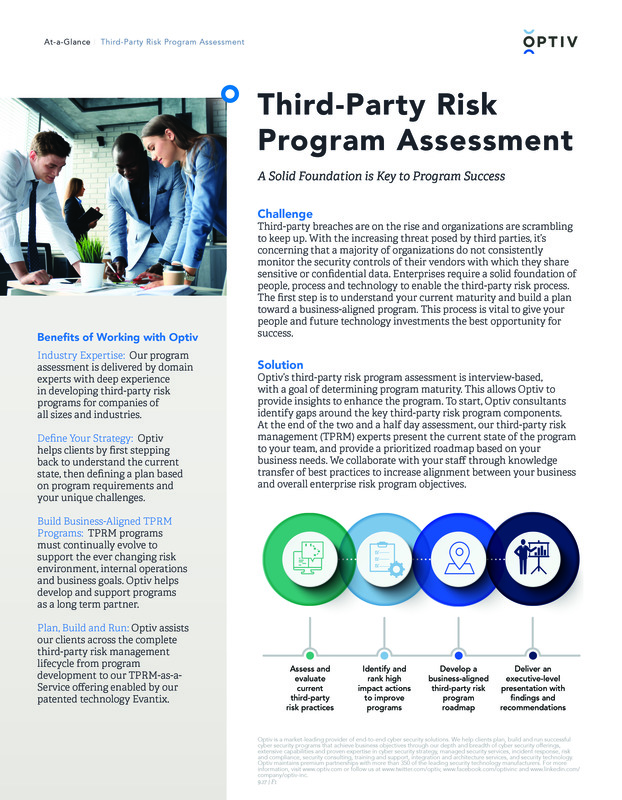 With Optiv’s third-party risk program assessment, we determine your program maturity, identify gaps and provide insights to enhance the program, including a prioritized roadmap based on the needs of your business.